Ashton McGhee died after being attacked by a family pit bulll-mix in Guthrie. 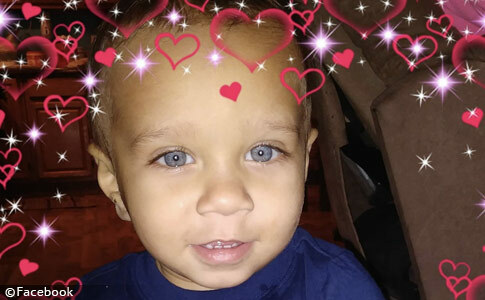 UPDATE 02/11/19: According to a GoFundMe set up by a friend of the baby's mother, 1-year old Ashton McGhee was visiting his grandmother's home in Guthrie when he was fatally attacked by a family pit bull-mix. "Ashton was playing at his papaw and mamaw’s house in Guthrie the night of February 7th when one of the family dogs came in from outside and attacked Ashton who was playing on the floor with a ball." The authors do not blame the attack on a "thunderstorm." "Ashton lived in Hopkinsville, Kentucky with his mother, Miranda McGhee and his two sisters," states the page. "He loved Batman and was a very active little boy who was always on the go." Contributions will help the family pay for funeral arrangements. "Miranda is a young, and wonderful mother who is in great turmoil and absolute shock and grief," states the page. The fundraising team calls on the community to help "as she has to lay her sweet baby boy to rest." Guthrie, KY - A baby boy is dead after being attacked by a family dog, according to Guthrie Police. On Thursday night, police responded to a home on North Ewing Street where they found a 1-year old boy on the couch, unresponsive, but breathing, reports WBKO in Bowling Green. The child had "deep abrasions to the head, chest, and neck" from being mauled by the family pit bull-mix, police said. The child's grandmother suffered injuries while trying to pull the dog off the toddler. Police said the boy had been playing with a ball on the floor when the dog came inside from outdoors. The dog immediately attacked the baby, including breaking the baby's jaw, reports WHOP. The baby and grandmother were transported to Tennova Medical Center in Clarksville, where the baby died of his injuries. The grandmother was treated and released. The dog was taken into custody by animal control. Guthrie Police have not released the toddler's identity. Police suspect the fatal attack may have been "triggered by a thunderstorm." Given the rate of thunderstorms annually -- 100,000, according to the U.S. government -- and a population of 90 million dogs, there would be hundreds more fatal dog attacks annually if such a theory were believable. Also, a family dog "frightened" by the sound of thunder, would more likely hide, tremble or try to flee the noise, not attack a baby in the "head, chest, and neck" to seek relief from it. 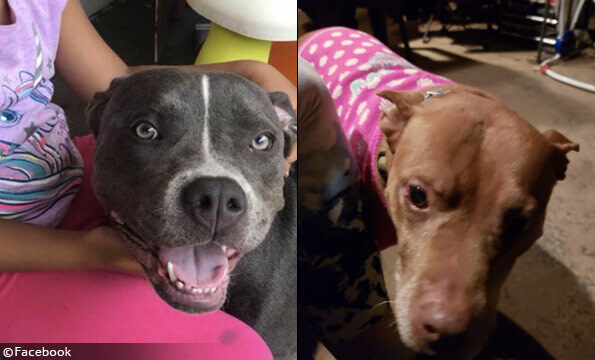 Police and others have blamed "thunderstorms" on fatal attacks carried out by pit bulls in the past, including the deaths of Kathy Wheatcraft, 48-years old of North Carolina, Deborah Wilson-Roberts, 45-years old of Arkansas (2012), and Nellie Davis, 61-years old of Oklahoma City (2012). Pit bulls located on the Facebook pages of family members. Unknown if either is the culprit. 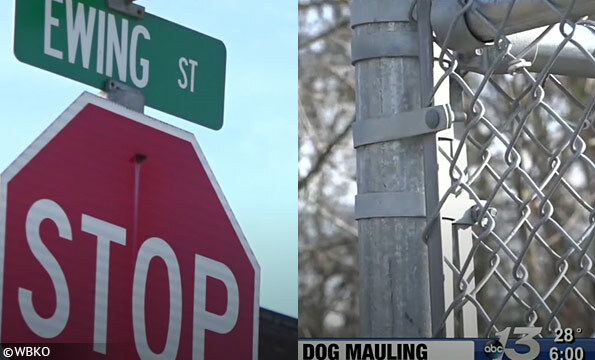 The fatal pit bull attack occurred along North Ewing Street. The block location is unknown. View the DogsBite.org Google State Map: Kentucky Fatal Pit Bull Attacks. My uncle had a Doberman that was afraid of thunder and fireworks, the dog would stick its head under the bed. Killing someone isn’t a normal or even believable reaction to thunder. So they expect us to believe that the dog got spooked by thunder, and in fear decided to run back into the house, go straight to the baby and violently tear him apart? Like seriously? What dog reacts to a scary situation by launching a violent attack on someone. The baby was playing with a ball…..
Clearly he “deserved it” for daring to play with a ball. Doesn’t he know that’s punishable by death in the pit world? I feel sick typing that, but you know some pit advocate out there has said it without sarcasm. Imagine if a visitor suddenly stabbed their pit bull to death. There were fireworks or a clap of thunder surprised the visitor. He was only playing with the pit bull and it was an accident that the pit bull was stabbed repeatedly, until it died. Most non bully dogs bite to guard a resource, to make the other leave. When they bite, they immediately let go, so the other CAN leave. Attacking unprovoked and not stopping are essential mutations for the prolonged, gambling style dog fights. This attack was excellent fighting dog behavior. It’s cruel to support sadistic dog fighters and their intentional selection for these horrible man-made traits. Meanwhile, the pit bull-promoting, anti-BSL messaging novel “A Dog’s Way Home” was just turned into a feature film, because of course it was. It’s in theaters right now. And the Ad Council has released a billboard tie-in campaign with the film, set to run advertising through next year. How many more young families are “learning” about pits and BSL from this movie? This, people, is yet another example of how the other side controls the narrative. What is our response? If we want to win this fight, we need to do more than post comments on this site. A lot more. I couldn’t agree more. None of us has the money of a Hollywood studio or a political lobby group, but all of us has a voice, and we all need to do a better job of getting the word out that there are two sides to the issue and there are real lives involved here. The more we talk back to the propaganda, the more likely it is that the victims’ side will reach someone who does have the resources to push the national conversation forward. Don’t worry, this movie is garbage. My sister had to see it for her job (personal assistant to mentally handicapped people). She said it was worse than “Look Who’s Talking Too.” So bad and annoying with the voice of the dog that should couldn’t even fall asleep through it. Normal dogs do not react to being afraid by killing a child……pit bulls are not normal dogs. A scared dog does not attack because the CNS is in the flight mode. Fight mode for attacking and maiming. Disgusting excuses: thunderstorm, she looked at the dog wrong, she raised her voice, she corrected the dog wrong, the baby pulled dog’s tail, the baby had the toy, the baby cried, the person was walking by…… Other breeds live the same lives, many worse than the attacking dogs and they don’t kill and maim their owners. Where is the rationale? Yeah, we have a ten-year-old lab and an eight-month-old GSD. When we have thunderstorms here in TX, the lab hides in the bathtub and the GSD either goes in his crate or comes to snuggle on the couch. Neither of them react with aggression. Because they’re normal dogs. How truly, truly awful. What a beautiful little baby. Those gorgeous blue eyes. I can’t imagine what the mom is dealing with right now. Stories like these really drive home my rule that my kids are not allowed into homes with pit bulls or pit crosses. Does every pit bull kill? No. But it’s simply not worth the risk with zero margin for error dogs. Balls, thunder, sneezes, knocking on doors, ladders, squeals, pregnancy (in both humans and dogs), epilepsy, menstruation, breathing, laughing, playing video games, Ice Bucket Challenges, skateboards, sweaters…. the list of killing triggers is endless with pit bulls. With the exception of a couple of those, they’ve all been experienced in my home. Pit bulls – not worth it since the 1800’s. Why do the police lie and blame it on thunderstorms? Everyone knows that is untrue. Because there are police officers who own pit bulls. And brag about it. KP “Pit bulls – not worth it since the 1800’s.” That is a GREAT slogan! Pit’s are soooo not worth it, when there are over a hundred other dog breeds that offer all the companionship and love of a dog, without the death risk of a pit.